August 10, 2017 – NW ate my previous post, so...I'll sum it up. Sonic Mania, Flip Wars, Severed, and more. See all of this week's updates today at noon eastern on your favorite eShop. Nintendo Download for March 1, 2012. Ironcast seems kind of interesting to me. 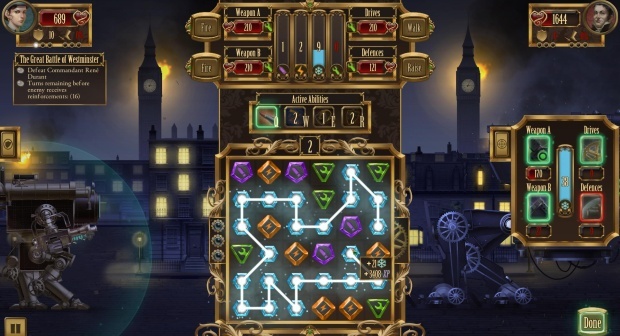 It looks like some steam punk boardgame spent a weekend with Bejeweled in his uncle's cabin . Cool demos this week. I'll check out the Rayman Legends demo (never played it), and the Monster Hunter Stories demo as well. I'm actually really looking forward to that one. Look gorgeous! Severed was a pretty good game on Wii U. Not sure how well it would play with just your fingers, I'd probably recommend using a stylus. Big week. I kind of want that Rocket Fist game. It's ugly, but it looks really fun. Let's see how it reviews! My bro said Phantom Trigger is bugged? It crashes/gives an error screen?? Severed was originally developed for Vita and played amazing on that platform, I think fingers are the way to go.